Table views are one of the most commonly used UI components in iOS apps. They usually display text with varying lengths. Prior to iOS7, developers had to calculate the height of each cell to accommodate to its content, and provide it in the table view delegate method -tableView:heightForRowAtIndexPath:. Now the cells self-sizing behavior can be achieved a lot more easily, with very few lines of code. This article is a step-by-step guide to implement the dynamic cell heigh. It makes use of storyboards and several object properties that provide the layout system with the baseline for automatically calculating and applying the correct cell height. Start by creating a single view application project, open the storyboard and remove the default view controller, which is not useful for what we want to build. Also remove the ViewController class from the Project navigator; we will replace it with UITableViewController subclass which conforms to the UITableViewDelegate and UITableViewDataSource protocols and saves us from writing the code that deals with the communication between the model and the view. 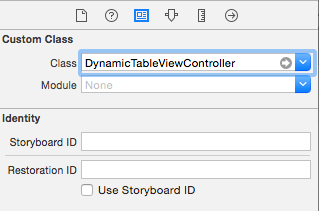 Drag a table view controller from the Object library to the storyboard and make sure the “Is initial view controller” checkbox is checked. 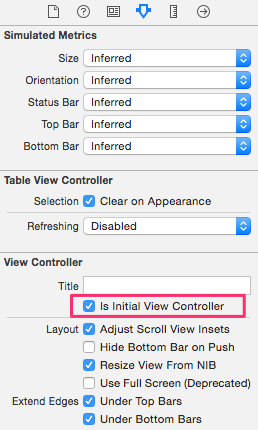 This view controller becomes the entry point and app delegate will load it first when the app is launched. 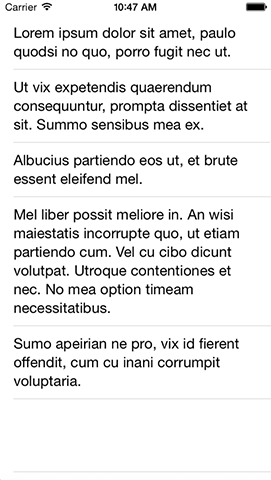 Remove the commented code which comes with the UITableViewController class template, we will not need it. I generally recommend removing most of the suggested code imported from the templates, except maybe the initializers, which are usually overridden, and a few mandatory protocol methods like the two uncommented UITableViewDataSource methods in our custom class. This declutters the code file and the deleted methods can easily be added later, if needed. If you run the app right now, you only will see an empty table. It’s time to add some content to our table view. In the sample project you can download here, I’ve used an array to store a few strings of various lengths and used these strings to populate the table view cells. estimatedRowHeight: indicates a rough estimation of the height used by the layout engine as the default value for all the table view cells it create in memory. The value you provide is arbitrary. The real height is calculated on the fly for each cell that is about to be displayed. Assigning a default height improves the overall performance of the cell loading process. rowHeight: should be initialized to UITableViewAutomaticDimension, except for iOS8 where it’s the default value. We also have to enable multi-line display for the labels in each cell and that’s something we can do by setting the numberOfLines cell property to 0 in the -tableView:cellforRowAtIndexPath delegate method. Run the application and you will see the table view cells have adjusted their height depending on the length of the text they display. Or not… When the table view is displayed for the first time, the dynamic height of the visible cells doesn’t seem to be calculated. The workaround is to force the data reload on -viewDidAppear: by calling the -reloadData method on the table view, as the guys from UseYourLoaf explain here. By doing everything we did until now, we also get dynamic type support for free, because the text is displayed using the system font. 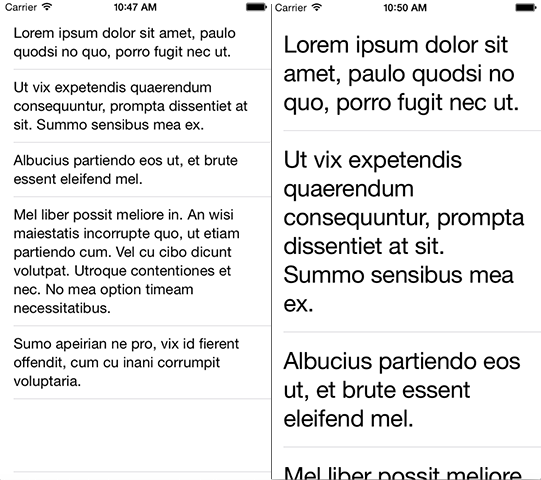 If we were using a custom font, we would have to define the preferred font size for each text style used in the app. But that’s a topic for another blog post. If you enable the Larger text option in the device Preferences app / General / Accessibility, and change the font size, then run the table view app again, you will note the font size has changed automatically to match the global setting. As demonstrated in this article, resizable table view cells are really easy to implement, although there are a few gotchas along the way we should look out for.